By Paul Montgomery and Associates – PaulMontgomeryOnline.com…. A Federal Court Judge in Texas has ruled that a coin fraud victim’s estate should receive almost $2 million from a Long Island coin dealer and his grading company under the Racketeer Influenced and Corrupt Organization Act (RICO). 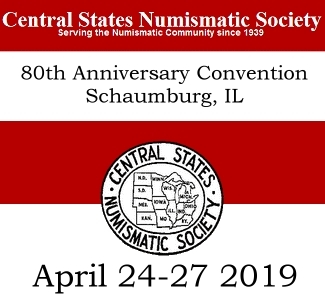 The estate was assisted in its three-year recovery efforts by former Professional Numismatists Guild (PNG) President Paul Montgomery, President of Paul Montgomery and Associates in Oklahoma City, Oklahoma. According to court documents, from January through May of 2011, Pereida made 31 separate purchases of rare coins from PCA. She bought 135 coins and paid a total of $727,569 to PCA for them. The coins were graded by PCI, and the sole owner of PCI at the time was defendant Anthony Delluniversita, who also was the dominant shareholder (60%) of PCA Collectibles. When Pereida died in October 2011, Dr. Malvino was appointed executor of her estate and had the coins appraised. Heritage Auctions through its Heritage Appraisal Services estimated the auction value at $190,865 at the time the coins were examined–less than 27 percent of the amount paid by Pereida. Dr. Malvino then retained Montgomery to assess the grade and value of the coins, and Montgomery concluded the reasonable retail value of the coins at the time they were purchased by Pereida was $150,964, about 20 percent of what Pereida paid. Heritage, Montgomery and PCGS identified one coin as counterfeit, a 1914-D Indian $2.50 graded by PCI as MS64. They also identified 25 other coins that could not be graded because they were either cleaned or damaged. These included a 1907 Saint-Gaudens Roman Numerals High Relief Double Eagle graded by PCI as MS65 and sold for $19,000. 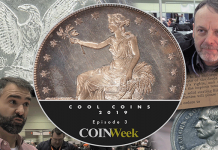 Heritage estimated the auction value at $6,000, Montgomery valued the coin at retail as $4,500, and both Heritage and Montgomery agreed with PCGS that the coin had been cleaned. An 1892-CC Liberty Double Eagle, sold by PCA to Pereida for $12,500 and graded by PCI as MS62, was valued by Heritage at $2,600 and only AU, valued by Montgomery at $1700 because it was damaged and PCGS refused to grade it because of a noticeable scratch on the coin. During the trial in November 2014, Montgomery showed the judge coins graded by PCI as Mint State that were, in his opinion, only About Uncirculated. Judge Ramos ruled that Pereida’s estate may elect to receive $1,073,868 in fraud and exemplary damages; $536,934 in damages for negligent misrepresentation; or $1,892,324 under the federal RICO Act, which includes attorneys’ fees and the costs of filing the lawsuit against PCA and PCI. If Pereida’s estate elects under RICO, the judgment will be entered for approximately $1,892,324. “When you’re buying or selling coins, there’s an important lesson for the public to remember. If you don’t know rare coins, you’d better know your rare coin dealer. 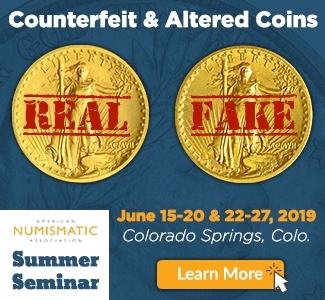 Members of the Professional Numismatists Guild must adhere to a strict Code of Ethics in the buying and selling of numismatic merchandise. The dealer who sold coins to Ms. Pereida was not a PNG member,” said Montgomery, who served as PNG President from 2009-2011. Dr. Malvino was represented by attorney R. Lyn Stevens of Stevens Baldo Freeman & Lighty in Beaumont, Texas (www.sbf-law.com and www.CoinFraud.com). The court is expected to enter judgment before July 1, 2015. The case is Albert Malvino v. PCA Collectibles, Inc., Civil Action No. 2:12-CV-401, in the U.S. District Court of Southern District of Texas Corpus Christi Division. WHAT ABOUT THE MELT VALUE? Montgomery valued a 1892-CC $20 gold eagle @ $700 due to a scratch that PCGS will body bag it for! well the melt value as per coinflations.com spot price is $1149 & change! SO MR. MONTOMERY PLEASE CONTACT ME ABOUT SELLING ME YOUR SCRATCHED $20 GOLD DOUBLE EAGLES FOR $700! I know that at least 60 to 70 percent of the coins I submitted to PCI for grading were changed out for lower quality coins but since I did not take pictures of the coins that I submitted I had no recourse of action. I was sent much lower quality coins in return after submitting between $8,000 to $15,000 worth of coins for a special offer by PCI to slab the coins for $6 each. The coins were switched out and lower quality substitutes were sent back in their place. Shortly after these rip offs occurred PCI abruptly relocated switched their address from Tennessee to Georgia (which I found out from a source of mine) and they changed from the green labels to the gold labels. Rest assured if you dealt with PCI you were ripped off whether you knew or not. PCI was just a bunch of cons which were thieves which suckered honest good citizens who were collectors into submitting quality coins only to have them switched out for lower quality substitutes and returned while high grade unique specimens were kept by the owners of PCI. Most of the Morgan Dollars that were returned I had to break out of the slabs and sell them as raw low grade coins due to the unethical practices of the workers at PCI and their failure to use ANA grading standards. I’m glad to see that these thieves were finally caught and exposed for the con men/women that they are. May God Bless and may you have a wonderful day. I have been an avid collector for 40 years and I have seen many of the PCI coins for sell in various auctions over the last few years. I have brought it to many auctioneer’s attention that these coins are not accurately identified or in fact may be fakes. In most cases to be told to mind my own business. It is very refreshing to see someone stand up for what is right and to actually win the case. Bravo!!!!!!!! This is a huge win for what’s right. I’m not much for slabbed coins. 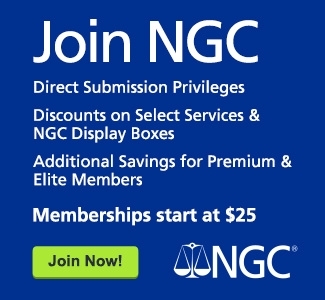 But I do know to buy PCGS or NGC only. It would be even better to see these people get jail time. Prison time. Long time. Any chance of that happening now that fraud has been proven in a court of law? Clearly the Long Island incarnation of PCI was a scam group like so many “investment” operations selling ungraded or falsely graded coins. Early 2000s and before PCI had some legitimacy but probably most of those coins have been cracked out. Sad to see a company that was indeed legitimate at one time go down the tubes like this. One of the inside secrets of early PCI slabs is to buy them, crack the coins out and get higher grades. They were tough in the early days. The last coin I sent to PCI was a 1943 DDO Variety Quarter that was originally sent to NGC, with the listed die variety on the form. This is why you should only use the big 4 thats what I do in my coin shop. This seems like a classic case so called “**** Stars” try to pull in Vegas. They sell slabbed and graded coins from PCGS and sell them way over retail price. I had known a guy he bought 4 or 5 coins graded and slabbed 75 to several hundred. Got back to Kansas fell on hard times and needed to sell to a coin dealer. dealer looked up the price which mainly stays constant except gold silver plat. And told him his coins at best were only worth 25 to 50 dollars a piece and not what pawn stars sold them for.they also have the old man 1 ounce silver coins they sell for 60 or 80 a piece which at best should only go for 30 to 45 since silver is way low ….they are defrauding customers just as bad as the higher class coin dealers but screwing over hard working people that are struggling worse. Did you got those coins back from PCI?…I sent a coin for grading last week,2/12/16..thanks.. I just sent coins to PCI, I had no idea this had went on. I sent it because there website was still functional. I tried to contact them today to verify if they had received them and the phones are not in service. My tracking shows they were delivered. Does anyone know how to reach anyone from PCI? I can’t afford to lose 15 Morgan’s and 3 commemorative dollars! You should contact the post office and see if they can get the package back. I sure pray that ALL people defrauding our hobby and our hobbyist are dealt with swiftly and justly! Myself and so many people that I have met in this hobby are doing it for something to leave their children once we pass, so we are not the only ones affected by fraud or Counterfeiting! May they also meet their maker and receive a rightful punishment from the good Lord as well !! !